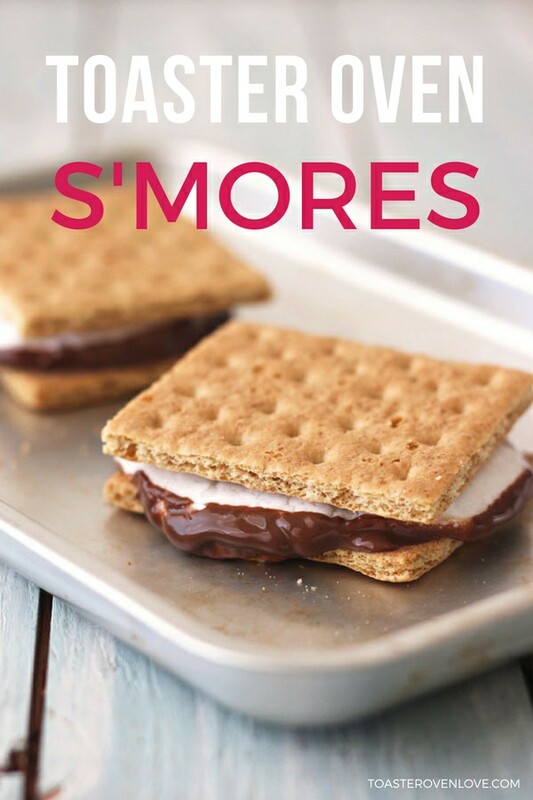 Toaster Oven S'mores - Make enough for One, Two or a Few! 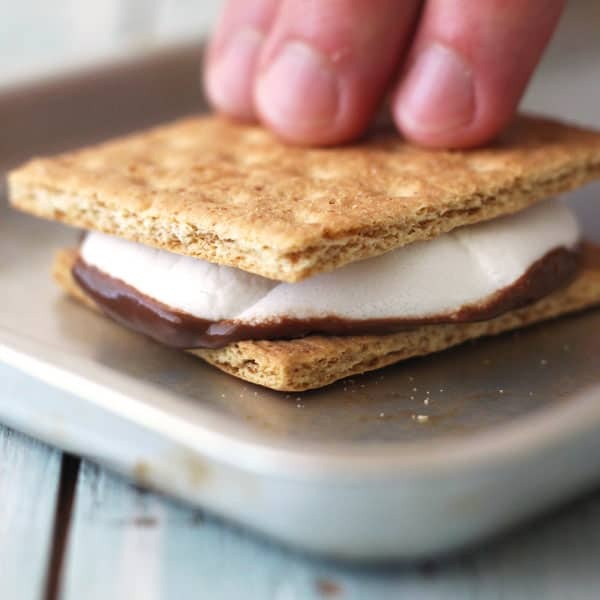 Toaster Oven S’mores are ooey-gooey summertime bliss that you can enjoy all year! 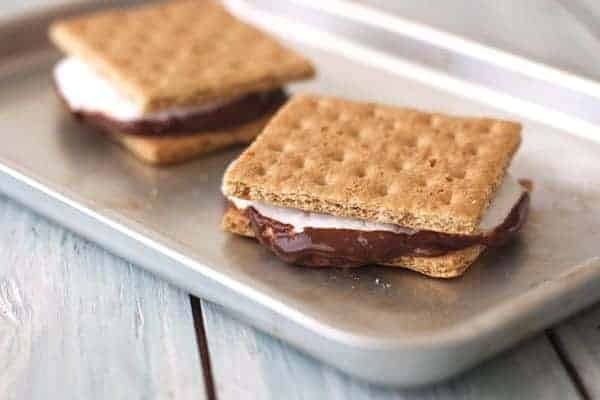 There’s no campfire needed for these s’mores – bake one, two or a few in just 5 minutes with the help of your little oven. Move over small-batch cookies, cupcakes, and hand pies. This is the toaster oven dessert to end ALL toaster oven desserts! So what do you say, want to make some? 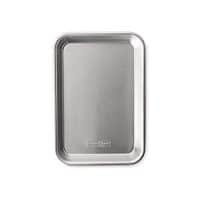 Step 1: Break a graham cracker sheet into two squares and place them on your toaster oven baking pan. You can go traditional or use a flavored graham, cinnamon’s my favorite. Step 2: Top each graham with a square of chocolate and a marshmallow. 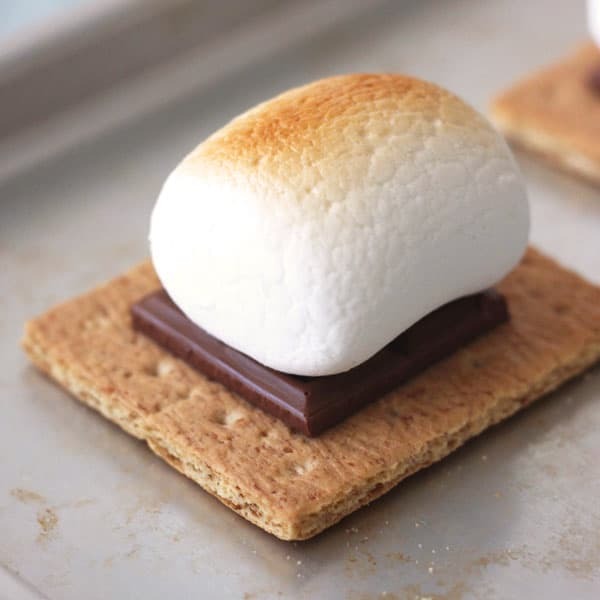 We’ve made these s’mores with traditional and vegan marshmallows. Both work though the vegan ones are less puffy and a bit crispy on the outside. 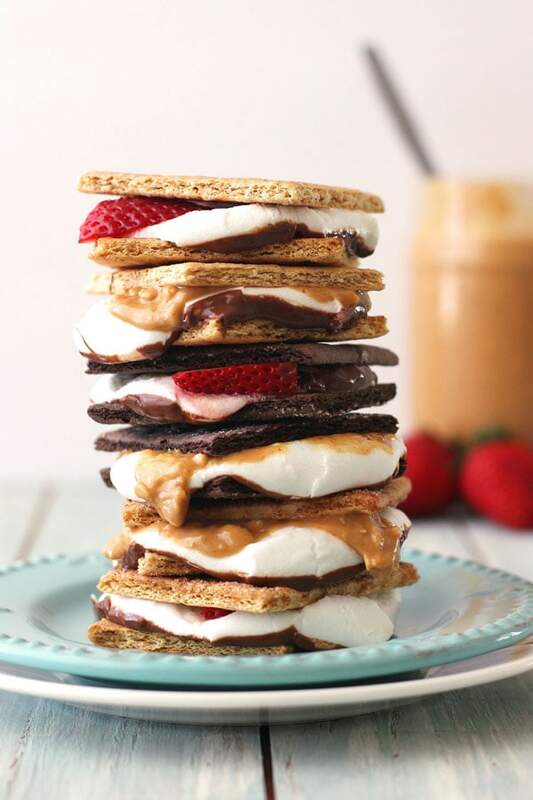 Since s’mores are pretty indulgent and only an occasional treat, you might as well go all-out right? So, if you’ve got leftover candy from a recent holiday like Easter or Halloween, swap out the chocolate square for a mini peanut butter cup or Almond Joy. 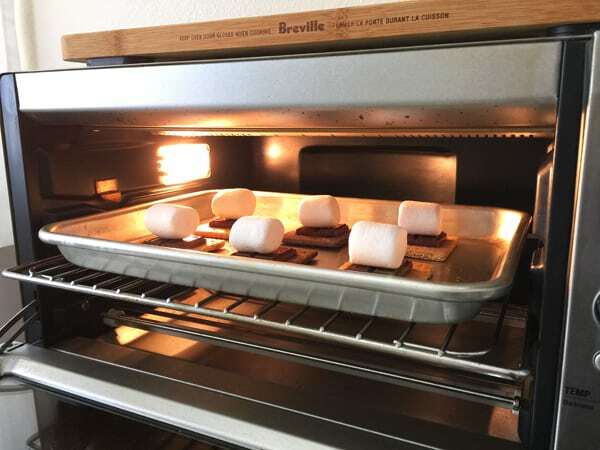 Step 4: Set the toaster oven to Broil and cook until the marshmallows are puffed and golden on top, about 2 to 3 minutes (the time will vary depending on your toaster oven). Like toasting coconut, not much happens at first but once the marshmallows start to brown they can become burnt quickly so don’t walk away. Step 4: Remove the pan and top with the remaining graham crackers. I like to press the graham down lightly to really smoosh the marshmallow into the chocolate. Then…DIG IN! If your toaster oven/countertop oven has an adjustable broiler take advantage of that feature and turn the temperature down. On our large Breville, we like to turn the Broiler temperature down to 400°F and use the middle rack placement. 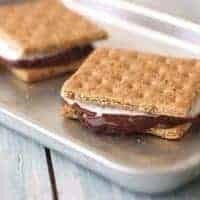 The s’mores take about 3 minutes to brown and our graham crackers never get burned. Gild the lily and add some toppings! I’ll be honest, if you haven’t tried this before it’s going to ruin the traditional version for you. 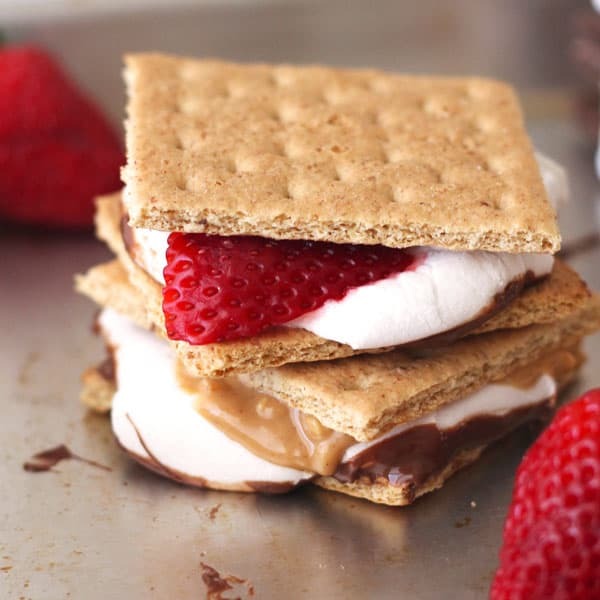 Because once you’ve had a s’more topped with crunchy peanut butter or fresh strawberry slices there’s no going back! Ooey-gooey summertime bliss that you can enjoy all year! Break a graham cracker sheet in half and place on your toaster oven baking pan. Top each graham with a square of chocolate and then a marshmallow. 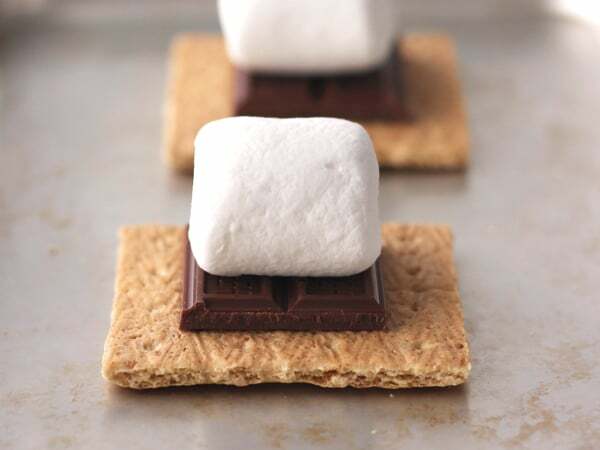 Set your toaster oven to Broil, insert pan and broil until the marshmallows are golden on top, about 2 to 3 minutes. 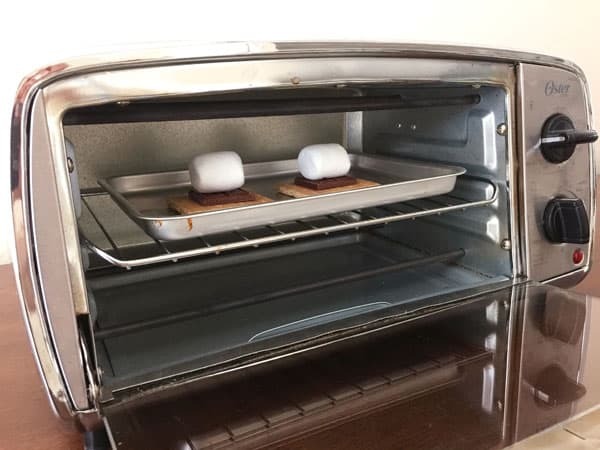 Carefully remove the pan, top with remaining graham crackers, and enjoy your toaster oven s’mores! Make sure to leave plenty of space between the heating elements and the marshmallows. Since all toaster ovens are different, watch the marshmallows closely for browning and adjust the cooking time as needed. Thank you so much for the toaster oven smores. 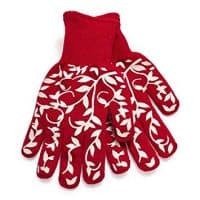 They were just great and fun to make!! To jazz it up, I use the seasonal marshmallows from a local baker (ginger, pumpkin, etc.) and employ chocolate like Trader Joe’s cold-brew coffee chocolate or Lindt chili chocolate ~ crazy good!